The best things in life may be free, but what would life be without a dog or a cat (what are we)? Okay so enough with the cheesy Janet Jackson / Abba lyrics and lets get down to important business. After spending way too much time scuttling about the Internet snuffling for free pet stuff, let's do a little round up of our favourite pet freebies for dogs and cats (sorry squirrel monkey lovers, your freebies are a bit thin on the ground). 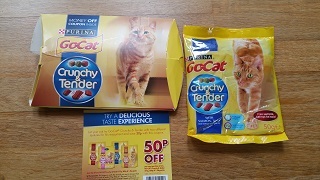 Our cat Woody was over the moon (well over the fence like a shot) when she saw me loading up her food bowl with free Go-Cat Crunchy & Tender. It was weirdly satisfying listening out each time Woody silently munched a tender bite swiftly followed by the crunch of the crunchy bits. I'm always on the look-out now in the supermarket for when Crunchy & Tender are on offer having already used up the generous discount vouchers we received in the pack. Next up, the dogs get particularly well treated with tonnes of freebies on Pet Points. Have you tried tails.com? Literally hundreds of our members have signed using the 2 week free dog food trial (worth over £20) and it's going down spectacularly well. 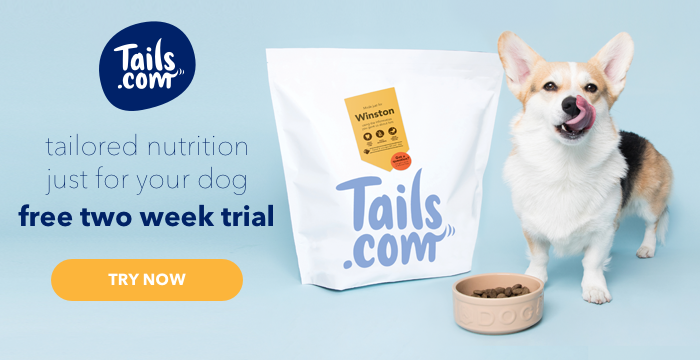 What I particular like about the way this delivered dog food works is that the portion sizes and healthy elements are already calculated so no more worrying about whether you're feeding your pooch the right amount of the healthy stuff. And that's not even mentioning the time saved traipsing around supermarkets looking for the right dog food. It's a dog's life indeed!